The property owner wanted to subdivide his block which was located in the Adelaide suburb of Underdale. He wanted one block to consist of his home with a small amount of yard and the other block to be a new allotment with a new home to be sold off. There would also be a common driveway and car parking spaces. There was a lemon scented gum tree which was in his adjoining neighbour’s yard. It was so big that it would overhang the proposed new allotment by 6 or 7 metres. 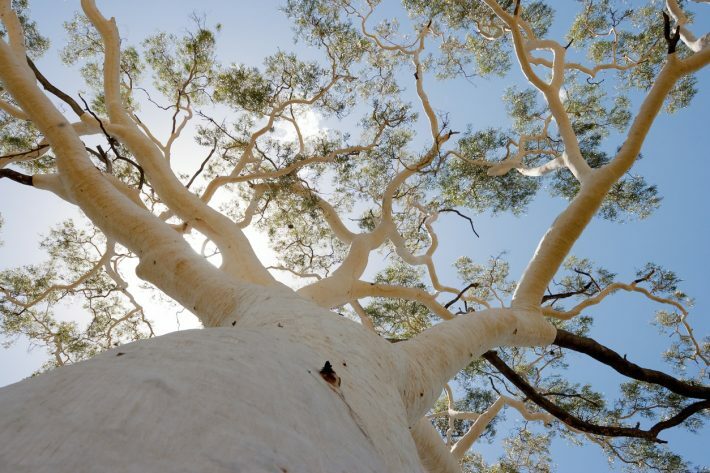 The tree was considered a significant tree under South Australian property development laws. This meant that it was large enough to meet the size criteria set out in the laws and was protected. It could not be removed, lopped, killed or even undergo a major prune without development approval from the local council. The local council rejected the owner’s application to subdivide the land because the canopy of the significant tree was so large that it would almost entirely cover the new allotment. The owner appealed to the Environment Resources and Development (ERD) Court. The ERD Court decided that the tree had not reached full maturity. Its canopy of 11 metres could reach up to 20 metres when fully grown. This would affect the proposed new allotment. The ERD Court was also concerned that lemon scented gum trees were known for suddenly dropping their limbs which would be a significant risk to the safety of anyone living on the proposed new allotment. The ERD Court rejected the application and the owner appealed to the Supreme Court. The owner said that the ERD Court had failed to consider that there were other options to ensure safety rather than rejecting outright the proposed subdivision. For example, if it was concerned about risk to the safety of person or property, it could order the pruning or removal of the significant tree. The Supreme Court said that if the tree was a threat to the safety of a person or property, the law of nuisance could be used to try and fix the problem. A nuisance is the unreasonable, unwarranted or unlawful use of a person’s own property in a manner that substantially interferes with the enjoyment or use of another person’s property. There is no actual trespass or physical invasion of the land. For example, a neighbour could take legal action to make the owner prune overhanging branches that threaten their property. It also said that regular maintenance and pruning of the tree would reduce the risk of branch failure or of nuisance complaints. The Supreme Court upheld the property owner’s appeal. This meant that he would be free to subdivide his land so long as he could convince the Court that no further conditions should be imposed on the development approval. While there is no doubt that significant trees are an important environmental feature in our landscape, they have been known to cause problems for property developers. For these reasons, if you are planning a development that will be affected by a significant tree, even if it isn’t on your property, getting legal advice from the outset may save you huge money later on. In this case, there were good alternatives to the subdivision being refused outright and the ERD Court needed to more carefully consider these options. A good lawyer can persuasively put your case from the outset, which should ultimately save you time and money. Websters Lawyers has a dedicated team of property, development and environment lawyers who have great experience in dealing with issues of this type. Contact us today for a free first interview. Because the sooner you act, often the better off you’ll be.